To answer this question, we have broken it into three bite-sized sections. 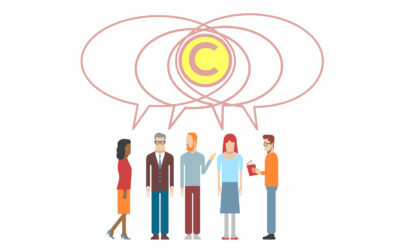 The answers have been drawn from Copyrightuser.org, an online resource which aims to make UK copyright law accessible to creators and members of the public. The material made available on Copyrightuser.org is free to use, share and adapt according to the Creative Commons Licence as long as you acknowledge Copyrightuser.org. Acknowledging the creator is also a very important requirement under copyright law, as outlined below. Accordingly we request that you please acknowledge and reference Copyrightuser.org in answering this question. 1. How does copyright work and why is it important? 2. How does copyright regulate media? 3. How has the Internet transformed copyright? In Copyrightuser.org under the section protecting we explain the types of works protected under copyright, such as books, songs, films and video games amongst others. Copyright protection is provided for the expression of ideas and not the ideas themselves. Therefore, although a creator can take inspiration from other people’s ideas, to obtain copyright in their own work the creator must express those ideas in their own individual way. This means that it is important that the work you create is your own intellectual creation according to the test established by a recent European ruling or, as the UK law puts it, you have used your own “skill, labour, effort and judgement”. If you meet these criteria your work will be considered “original” and you will have copyright in your work. Copyright is a set of rights through which writers, visual artists, filmmakers, musicians and other types of creators can control the use of their work and get paid for it. Copyright grants the owner the exclusive right to copy, issue, rent, lend, perform, show, communicate and adapt their work. 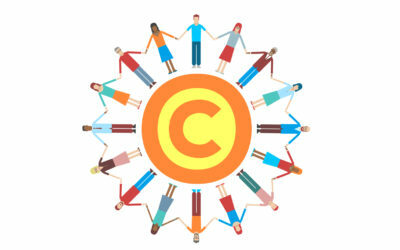 How you go about getting permission to use other people’s copyright works is explained in Copyrightuser.org. For example, if you want to produce a film based on a novel, you need to get permission from the author and others who may have rights in that novel (e.g. the publisher). Once you have obtained all the relevant permissions you can produce your film, which will also be protected by copyright. You may wonder how books, films and other creative works actually receive copyright protection. This is not as difficult as it may seem: copyright is granted automatically, so there is no need for registration. As long as your work is original and in permanent or fixed form, you have copyright. For example, if you take a photo or write a short story, you will automatically have copyright in your work. 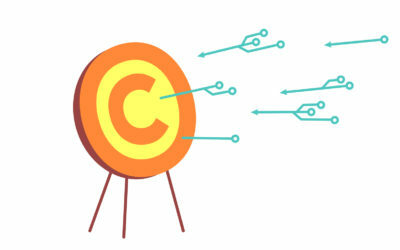 Marking your work with the © followed by your name and the year of publication can be a useful way of asserting your ownership, but it is not essential in order for copyright to arise. Infringement of copyright occurs if someone uses a whole, or a substantial part of, a copyright work without permission. The precise meaning of “substantial part” is unclear as this is decided on a case-by-case basis. However, we do know that the court considers it to be a matter of quality and not quantity. As such, the ultimate goal of copyright is the creation and spread of knowledge. Indeed one of the main purposes of copyright regulation is to strike a balance between production and dissemination of knowledge. In other words, copyright regulation has to reward and incentivise creators to produce new works, whilst allowing the public to access and use these works. Copyright enables creators to make a living from their work by selling or licensing their material. By rewarding creators’ efforts and ensuring an income for them, copyright encourages creativity leading to the creation of new material, which in turn leads to the development of a society rich in innovative content. At the same time, in order to be beneficial, knowledge needs to be spread and shared. 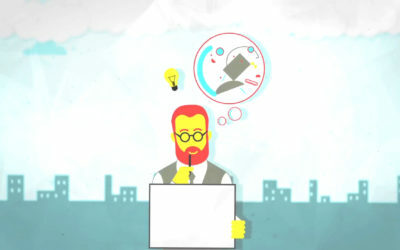 As explained on Copyrightuser.org it is important to give access to creative works in order to take inspiration from ideas and develop more creations. Similarly, there has to be a mechanism in place for the use and re-use of copyright works. Copyright law provides for this important balance by rewarding and incentivising creators on the one hand, whilst providing for the spread of knowledge on the other. Copyright regulates the use of media in creative productions. We explain this concept in further detail in the ‘Copyright and Creativity’ section of Copyrightuser.org. For example, if you are producing a video, copyright law says what you can or cannot do with other people’s work in creating the video (e.g. including film footage or music), and protects the work which you have created. As such, it enables creators to control how other people use their work so that they can be rewarded for their creation. In general, if you want to re-use the whole or a substantial part of a copyright protected work – e.g. you want to create a mash-up of your favourite TV series using your favourite song – you need to get permission from all the copyright owners involved. This can be a difficult (and expensive) process, because works like TV programmes have several rights attached to them and each of these rights may have more than one owner. However, many creators are members of collecting societies (e.g. PRS for Music or DACS) that license work on their behalf. This often simplifies the process of obtaining a licence. However, you do not always need to get permission in order to re-use a creative work. 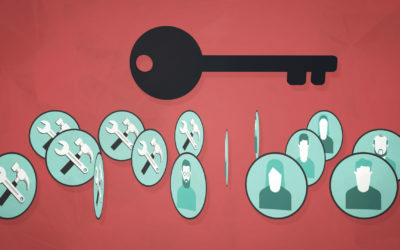 Permission is not required if you are using the work for reasons covered by “copyright exceptions”, which involve uses such as non-commercial research and private study, quotation, news reporting, parody, and education, amongst others. These exceptions are explained accurately in user-friendly language on Copyrightuser.org. 3) Permitting everyone to freely re-use your work under certain conditions by distributing it with a Creative Commons licence. There is a very close relationship between copyright and technology. Technologies such as the printing press, fax machine and the photocopying machine have made copying easier. However, none of these technologies has had an impact as significant as the Internet. The Internet has enabled more creation, use and re-use of copyright works. However, the Internet has also enabled mass-scale copying which has challenged copyright law in recent years. Copyright regulation responded to these developments by extending the scope of copyright protection. The first copyright law only protected printed books and written materials for a period of 14 years. Today, copyright law covers almost every kind of creative work for a much longer period of time (i.e. lifetime of the author plus 70 years after their death). The Internet and many new online technologies make copying and sharing extremely easy; it is quicker, cheaper and more accurate than ever before. These developments are challenging and copyright regulation must continue to adapt. One of the new challenges that copyright faces today is the notion of the creator. Previously, the creator of the work was very easy to identify – it was the author of the book for example. However, the nature of creativity has changed. Media and technology is becoming more interactive and often invites audiences to creatively participate, making them users and creators at the same time. Media production is not only for professionals anymore. New technologies enable everyone to express their creativity and have inspired new ways of using creative works, such as fan fiction and remix. However, many of these new creative activities are restricted by current copyright regulation. The tension between what the law says and what people do online raises several interesting questions about contemporary copyright regulation, which will be explored in the remaining three prompt questions of this resource. J. K. Rowling, whilst inspired by other authors, created the story of Harry Potter and The Philosopher’s Stone. She was then able to license her copyright to Bloomsbury Publishing Plc, who published the book and rewarded her financially. Thereafter she was paid an advance to write more and continue the story of Harry Potter and complete the seven-book sequence, collectively selling over 400 million copies! J. K. Rowling was able to do this because copyright gave her the exclusive rights to protect her story. She licensed that right to Bloomsbury Publishing Plc, giving them permission to print and distribute her work in return for royalty payments. J. K. Rowling and Bloomsbury were then able to sub-license the Harry Potter story in order to make more creations. For example, Warner Bros Entertainment Inc. had to pay for a licence to use J. K. Rowling’s story to create the Harry Potter film series. This is known as a derivative work. Other derivative creations of Harry Potter include the translation of the books into 67 different languages, audio books, computer games, an amusement park and more. In order to create these works a licence had to be obtained from the copyright holders. This means as well as Warner Bros and the other creators of the derivative works, J. K. Rowling and Bloomsbury can continue to benefit from royalty payments. For example, Warner Bros owns the copyright in the Harry Potter films, so when Electronic Arts wanted to create Harry Potter the video game using the characters and setting from the film, they had to obtain a licence from Warner Bros, who then earns royalties from the sales of the games. Another way in which the Harry Potter stories have been used is to make parodies. For example, the Potter Puppet Pals is a YouTube series using the characters from Harry Potter to tell stories. The creator has spent his time and effort making the puppets, the storylines, the songs and music to produce 16 different parody videos. Until 1 October 2014, the use of the original work would have been copyright infringement. However with the introduction of the new parody exception within the scope of fair dealing, the original work can be parodied in certain circumstances. One of these videos, Potter Puppet Pals: The Mysterious Ticking Noise, has received over 157,703,236 views. At the beginning of this video is an advertisement. This usually means that the rightsholder is receiving a payment every time that the video is watched. Copyright subsists in an original creative work. Copyright gives you the exclusive right to copy, issue, rent, lend, perform, show, communicate and adapt your work. Below are a list of scenarios to consider when creating your own work and licensing it. 1. You want to write an original story about a wizard and his adventures at wizardry school. How do you do this without infringing copyright law? 2. Having created your own original story, how would you disseminate it? 3. Your story is very successful. Someone approaches you and they want to use one of your characters in their video game. What permission do you give them?